Scandinavia is a historical and cultural-linguistic region in Northern Europe characterized by a common ethno-cultural Germanic heritage and related languages that includes the three kingdoms of Denmark, Norway, and Sweden. Growing up, I was surrounded by reminders of my Norwegian ancestry. We had lefse and lutefisk at Christmas. We opened our gifts on Christmas Eve and decorated our tree with real candles. One of my favorite comfort foods was my grandmother’s kumle. As an adult, I joined the Sons of Norway lodge and have made every effort to keep our cultural identity alive in my children. I have dreamed of traveling to Norway ever since I can remember. In May of 2011, my wish came true. Even more memorable was that we were able to travel as a family and I was thus able to share my passion with my children. We opted to begin our holiday in Copenhagen, Denmark and from there, to travel by train first to Stockholm, Sweden and then to Oslo and Trondheim, Norway. From there we’d board the Hurtigruten for a cruise through the fjord and the North Sea to Bergen where we’d meet family before returning to Oslo by train once more prior to our departure home. Upon our return home, I wrote a series of posts highlighting our adventures in Scandinavia .. day by day. 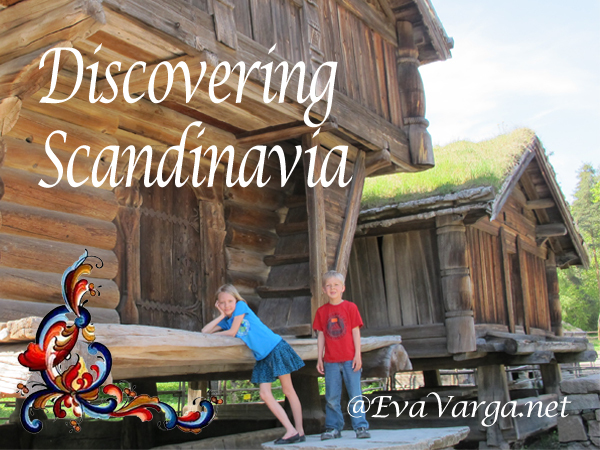 So, grab a cup of kaffe and join me in discovering Scandinavia.